Aria Savage just left her unfaithful husband-to-be at the altar with a graphic present to everyone present at that memorable day... Now she is going to have the best time at her lonely honeymoon, healing up and enjoying the sun. But what supposed to be her "me time" ended up not being so "me" when her path crosses with Roman's. Something tells me that's gonna be a hell of a ride! Soon enough Roman put his cards on the table and shows Aria that she didn't need to be alone to heal her wounds, that he was going to help her to forget whatever hurt her. Aria didn't know what she was getting into when she agreed with that rebound relationship... It should be only two weeks, no strings attached, so no harm, right? Thing is: Roman is way deeper than she thought. He likes to have the control of everything that surrounds him, including Aria, but she's not that so easy to control, especially after everything she's been through. I must say, the fights are on point for these two... But hold your breath because the road is full of bumps! Aria and Roman start a journey of luxury, sensuality and secrets. Secrets that can enlighten Aria about her feelings towards Roman or can tear them apart. One way or the other, someone will get burn. Well, well, well, what a good surprise! You guys have no idea how I love to find hidden gems! 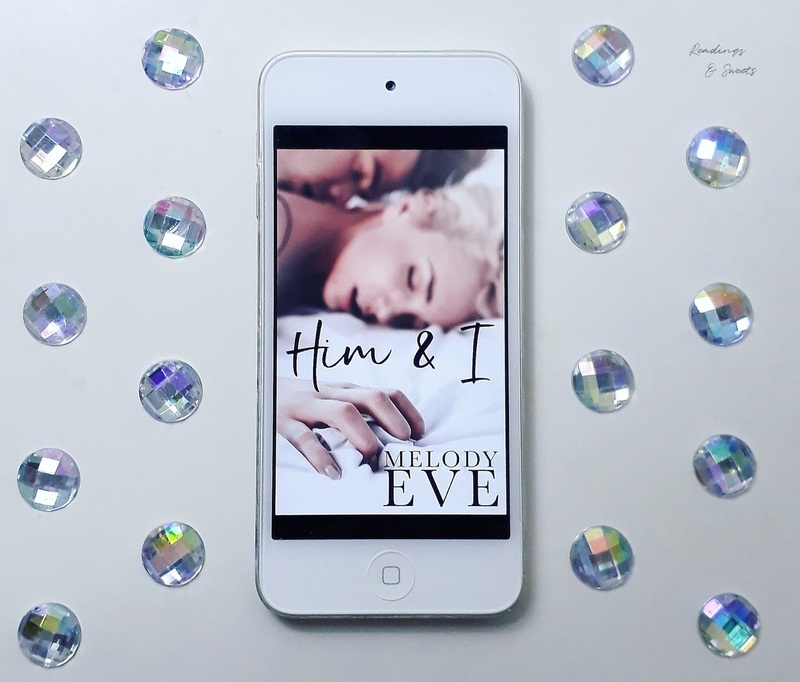 As far as I know, "Him & I" is Melody Eve's first book and for what I can tell, she already started in a good path! Aria and Roman are characters that bring live to the book, even though Roman being so mysterious and stuff. Aria is a heroine that give us a lot of mixed signals: first we think she'll be one of those whiny characters, always thinking about what her cheating ex did to her and comparing Roman with 'the one that shall not be named'. And then she makes her mind about Roman and her feelings, and shows she is way much more stronger than anyone thought. But I must say I was concerned about some of Aria's attitudes. It was almost dangerous. I really don't know what to think about it. And Roman... I wasn't expecting all those plot twists with him! I was like "wait, what?"... and right after: "oh, that's cute!"... and then "freak!"... and "oh my gosh, let me hug you!". It's kind of impossible to set your mind about Roman, because he has all this back story that the author reveals during the book, that explains a lot fo who he is and why he does some things. I really want to know what's next for Aria and Roman! 'You & Me' is coming late august, so there's no much to wait! Yaaaay!